Proteus mirabilis. 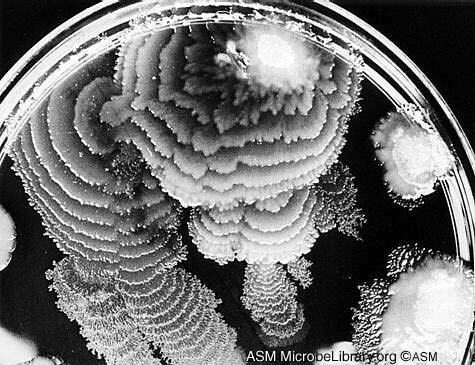 照片取材自 ASM Microbe Library. Gibbs et al. 2008. Genetic determinants of self identity and social recognition in bacteria. Science 321:256-259. Gibbs et al. 2011. Identity genes expression of Proteus mirabilis. J. Bacteriol. In press.